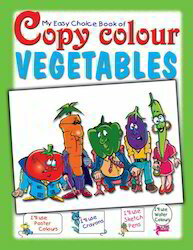 Our range of products include my easy choice copy color alphabet books, my easy choice copy color wild animals books, my easy choice copy color domestic animals book, my easy choice copy color fruits, my easy choice copy color vegetables and my easy choice copy color vehicles. 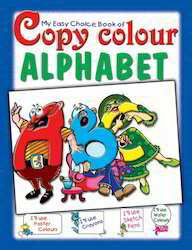 My Easy Choice Copy Color Alphabet book offeredcomes in 16 page softbound finish and is designed to introduce children to a variety of color concepts as well as help them enhance their shading skills. 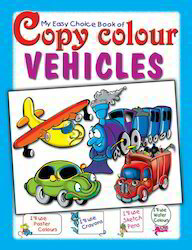 Being fun to work with, these books are best tool for engaging child's interest in Kindergarten and initial school years with pages based on variety of themes that children can color. Being suitable for use at home or in the classrooms, the books act as a wonderful tool for developing fine motor skills of children as well as help kids learn colors and their specific use. 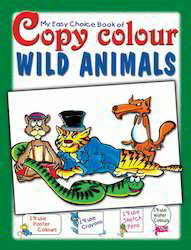 My Easy Choice Copy Color Wild Animals offeredcomes with beautifully illustrated wild animal pictures that are spread in 16 page softbound book finish. 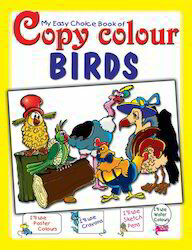 Encouraging creativity amongst children, the coloring book beautifully illustrates the pictures of different animals and are fun and instructional to go through. 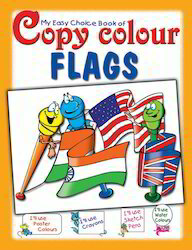 Further, the worksheet reinforces the concept of recognition of colors with children getting benefitted from practical, memorable lessons. 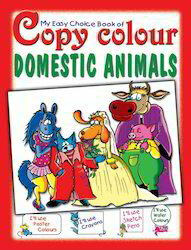 My Easy Choice Copy Color Domestic Animals book offeredallows children to learn about different domestic animals while coloring them. The book is made available in 16 page softbound finish and feature child friendly illustrations that are fun to work with. Further, the suggested hands-on activity based worksheet provides a strong foundation for kid's learning needs while offering them a unique coloring opportunity. The books are suitable for use by kindergarten, preschool and grade school children. 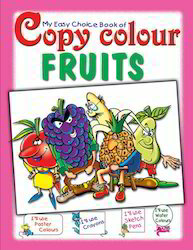 Owing to a long-term destination for our business, we are engaged in offering a wide gamut of My Easy Choice Copy Color Fruits. The offered my easy choice books are made up at vendor’s end using top quality paper & best ink is used for printing purpose. Along with that, these my easy choice books are checked by quality experts in order to deliver a defect free range from our end. We provide these my easy choice books in customized printing & sizes according to the requirements of customers. Looking for My Easy Choice Colour ?